Voting Opens on Tuesday, March 5 at 2pm PST & Closes on Wednesday, March 6 at 2pm PST. I envision Centers for Spiritual Living expressing the fullness of Creations highest idea of Itself as a vibrant focused organization advancing the teachings and Spiritual Practices of Science of Mind through ever increasing accountability, visibility and socially centered spiritual activism. Rev. Rafe has been an active member of Centers for Spiritual Living since 2003. 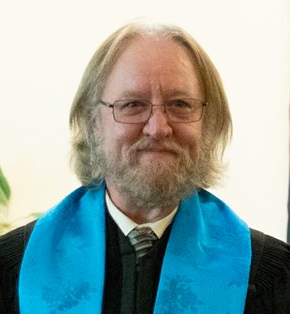 He became a Licensed Practitioner in 2008 and served the CSL – Santa Rosa, CA; Center for Spiritual Awareness – West Sacramento, CA; and First Church of Religious Science – Vallejo, CA. as a Practitioner before licensing as a CSL Minister in 2017. Since becoming a minister, Rev. Rafe served as the Senior Minister at Mountainside Center for Spiritual Living – Placerville, CA. and is currently the Senior Minister of Sierra Center for Spiritual Living – Grass Valley, CA. Rev. Rafe is a Virginia native, though he claims Asheville, NC as his hometown explaining that Asheville was the first place his Soul recognized Itself as being at home. He brings a wealth of experience from his years as a Social Worker, Fire Fighter, Emergency Medical Technician, and Deputy Sheriff, as well as, a business owner and lapidary artist. He holds a B.A. in Social Work from Warren Wilson College, an MBA-OD from American InterContinental University, an MA from Holmes Institute and a Certificate in Ministerial Education from CSL School of Spiritual Leadership. Rev. Rafe shares his life with Debra Ellis; his best friend, soulmate and bride of 12 years. In his spare time, you can find usually him in the woods, near a body of water with a fishing pole. My vision for the Leadership Council is a collaborative healthy leadership body that supports the Science of Mind movement and its Centers as we navigate the growth and acceptance of the principles we have been teaching for over 100 years as the new normal in our society. Rev. Alice Reid is a synergistic, dedicated and committed Spiritual Leader with over 30 years of exploring, studying and practicing spiritual principles. Alice has been a licensed CSL minister for over 11 years and she couples this experience with over 35 years of professional business experience in the public and private sectors. Alice is currently the Spiritual Director of CSL Santa Cruz in California. Prior to this she was the founding minister of a CSL in central Maryland. In addition to her ministry, Alice owned and operated a small tax and accounting practice, Compassionate Tax Service. Her 35 year plus career in Finance and Accounting included public accounting experience as well 15 years in the non-profit sector at both the national and international level. She retired from her first career in late 2016 with the sale of her business. Over the last five years, Alice has been studying and practicing the Marcia Sutton/Lloyd Strom Co-Creation curriculum and is in the process of receiving her acceptance as a Co- Creation facilitator. Currently she is enrolled in the Q Process facilitators training. Both modalities add depth to her passion for facilitating healthy groups and communities. challenge for Centers for Spiritual Living is to be both fiscally sustainable and relevant to the needs of our more sophisticated constituencies as more and more, we find our principles being taught and practiced in the mainstream. As The Peacemaker, my purpose and vision is to serve and support our community with compassion and leadership to sustain a world that works for everyone peacefully through meaningful contribution and service. Anthony (Tony) Diaz, Esq., RScP is a family law attorney, mediator and coach specializing in resolving disputes easily, effortlessly and amicably. In his practice, he is known as the Peacemaker. Tony is also a Licensed Practitioner and Practitioner Representative for Region 9 with the Centers for Spiritual Living. He is passionate about serving others in his spiritual community with love, peace and compassion. His vast experience as an attorney with advanced legal skills serves him well in any leadership position responsible for making legal decisions. Practicing as a Certified Public Accountant previously has provided Anthony with a business acumen to help develop and decide on complex financial solutions. Known as a leader in conflict resolution, Anthony is highly skilled in developing consensus with challenging discussions by facilitating difficult conversations while allowing others to be heard and validated. He utilizes his spiritual practices to resolve disputes in guiding others from the pain of their conflict to a peaceful resolution. Anthony also speaks in various Centers for Spiritual Living and Unity churches with messages devoted to guide others to move through the pain of their condition to co-create the life they were meant to live. Anthony has authored many articles for the Science of Mind Magazine and is the co-author of “Faces Behind the Pages” and “Creating Relationships and Family with Courage and Compassion”. He has also authored various eBooks on the topics of peaceful divorce, conscious conflict resolution with compassion, and deepening your relationships powerfully and purposely. I am passionate about helping others awaken to their spiritual magnificence. As I evolve to a higher state of consciousness, I am called to work with the dynamic Spiritual Leadership team as it creates the foundation required to transform lives around the world. Derek Hinchliffe has been a religious scientist since he was a teenager. He joined the community when his partner Amanda introduced him to the Centre for Spiritual Living Kelowna ten years ago. He immediately felt as though he had “come home” and was soon taking Science of Mind classes, obtaining his practitioner license in 2014. Derek’s professional background is in journalism. He started his career as a television reporter, working his way up the ranks to become News Director and Station Manager. He has proven to be an effective leader, an effectual delegator and has strong business acumen. He currently serves on the CSL Kelowna board of directors as Treasurer and Vice-President. 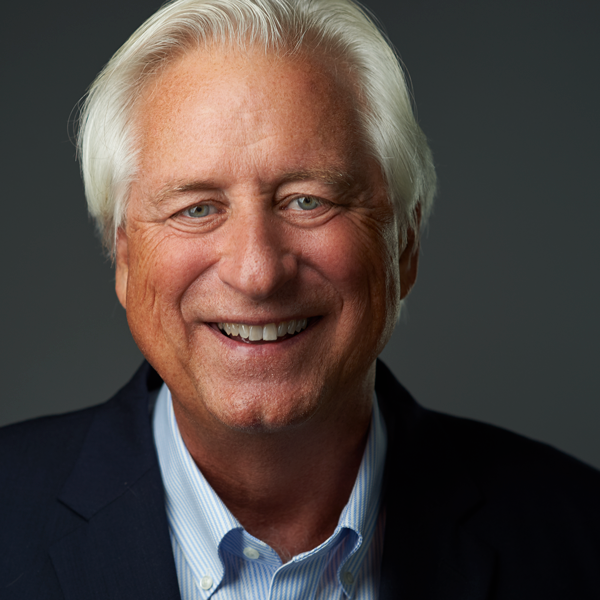 Since retiring from the TV station in June 2018, he is excited to take on a greater leadership role within CSL itself. CSL is recognized as the Global Leader of New Thought. It fully serves the needs of, and supports, each local Center. CSL is continually relevant and accessible through the changing channels from which people seek the SOM teaching and transformational growth. CSL continues to thrive as an anticipatory leading spiritual organization. Neil Pinkman, CCBA, RScP, is a Licensed Spiritual Practitioner with the Centers for Spiritual Living, Transformational Life Coach, Certified Conscious Business Agent by Humanity’s Team, and specializes in coaching individuals, entrepreneurs, and small companies to bring personal, professional, and organizational development and growth. He has also served on the Centers for Spiritual Living Member Council and the Resolution 9 Presidents Team. Neil serves as the Executive Director, Vice President of the Leadership Council, and Practitioner for CSL North Jersey. He recently started Ministerial Studies at the Centers for Spiritual Living School of Spiritual Leadership Florida Campus. For eight years Neil served as the Founding Director of The Dharma Center for Healing Arts, an educational and treatment facility devoted to personal, professional, and spiritual growth. Neil has been an entrepreneur his entire career, and the co-founder of a nationally recognized marketing design company for 25 years. 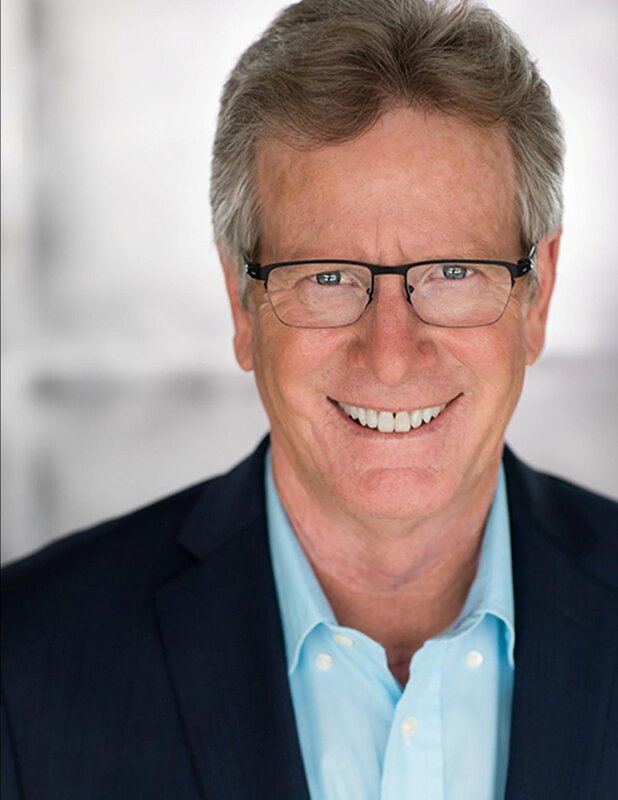 His broad experience in all aspects of business development gives him great insight for helping others increase their ability to personally and professionally develop and grow. Neil served for 3 years as the Executive Director of a large regional chamber of commerce, and served on the Board of Trustees for the NJ Workshop for the Arts. I raise my consciousness by widening my perspective. The bigger picture expands my understanding. I see more options. I make better choices. I act in new effective ways. My life is better and I have more to give. I raise my consciousness by expanding my perspective. Growing up in a spiritual family with a small business Curt developed an idealistic vision with a pragmatic approach to planning. He enjoys sharing ideas and creating new paradigms that empower himself and others to achieve their true potential. He and wife Wendy have four children and celebrate their love of the SOM philosophy with committed service to the Center for Spiritual Living - Salt Lake. I believe that the Minister Council is a strong, unifying and powerful community of spiritual growth and support for all ministers in Centers for Spiritual Living. My vision is to be a comfortable place for my peers to feel powerful and loved. In 1996 Val started a spiritual journey of holistic healing modalities and shaman training. It opened her heart and mind to be accepting of all paths to God. Val entered New Thought in 2005 knowing that the teaching of Ernest Holmes opened a continuous refreshing of who and who’s she was. She became a licensed practitioner in 2001, a minister in 2014 and ordained in 2018. Ordination was the marriage of her soul and spirit and the work began again. She took her training and served as a Staff Minister in Kelowna, BC. In 2016 her ministry took her to Lake Havasu, AZ as Spiritual Minister. She has recently moved back to her hometown and joined the Ministry Team at Centre for Spiritual Living, Edmonton Metro. Her commitment to spiritual practice and the power of prayer allows her to live a life of service. Once Val commits to doing something, big or little, she will go above and beyond to be the best she can. Val loves to teach and expand the minds of others, always asking them to take self-responsibility. She is a strong believer in supporting her peers and encouraging them to be their best. Her goal is to help humanity expand the love for themselves. By expanding all pillars of love (health, wealth, loving relationships, creative expression and spiritual practice) in the lives of a few will ripple out into the world and all will be strengthened as a result. To further the Vision and Mission of Centers for Spiritual Living; To serve the ministers of CSL through programs, initiatives, gatherings, and creative ideas to ensure that our ministers stay connected, thrive in their ministries, are honored/recognized for their service, and share best practices for today’s changing ministry. Since 2007, Rev. Karen has immersed her life in the philosophy, principles, teachings, and practice of Science of Mind (SoM). Ernest Holmes focused on the practice of our t4eaching, and this is what she’s done since finding SoM – practice the principles of this sacred teaching and be a living example of the Power Within and the Power of Love. Rev. Karen became a Licensed Minister in August 2013 and Ordained in October 2016. She is known for her focus to BE LOVE and her prosperity consciousness. Rev. Karen is the Co-Spiritual Director at CSLDallas along with Dr. Petra Weldes. CSLDallas is a thriving and expanding diverse CSL Center that recently hosted the 2018 CSL Ministers Gathering. Rev. Karen has served in leadership for our larger organization since 2008 (ten consecutive years). Starting with the United Centers for Spiritual Living CORE Council for four years (her term ending at the 2012 Integration Convention). She then served on the CSL Nominating Council from 2012-2018 primarily in the capacity of Chair of the Nominating Council. She was proud to lead an up-leveling process to bring leaders forward and greatly increase the diversity of leadership across all CSL Councils. Rev. Karen was appointed to the Minister Council in April 2018 to fulfill Rev. Karyl Huntley’s term. She’s been a full contributor from day one, including designing and launching a new CSL Minister Council website. She’s only begun to serve this council and is excited about what she can contribute in a full-term. To supporting our ministers by creating ways in which we can be better connected to each other and home office. To vision and help implement systems to support all Religious Science Minsters in the field. To come together as one united ministerial presence in the world. Rev Debbie McDonnell is currently the senior minister at Monterey Center for Spiritual Living. She was a practitioner and then a staff minister at Seaside Center for Spiritual Living prior to moving to Monterey in 2016. She became a practitioner in 2005 and a minister in 2014. She was ordained in 2017. Rev Debbie brings years of experience in many varied areas of ministry, she served as the head of education, on the practitioner core and visioning core of Seaside CSL, as well as youth director and co-chair for the capital campaign while at Seaside. She was also President of the Board of Trustees for two separate terms. She is an outgoing energetic presence with a strengths in collaborative leadership. She is a dynamic speaker and a welcoming presence, grounded in the principles of Science of Mind. She is passionate about the teachings of Science of Mind and demonstrates this in her personal life. She is mother to two young adults and one of 12 siblings. Her joy is teaching and exposing others to the Power that is available to us all. She works with young adults and those recovering from addiction. She has taught the first year of Practitioner Training to over 30 Practitioners. Rev Debbie is committed to the continuation of our teaching in the world. She believes that our teaching is just as relevant today as it was in 1917. She is committed to creating a world that works for everyone. I know that New Thought and The Science of Mind have been essential, critical and beneficial to the advancement of human Consciousness. And, I also know we have not reaped the rich rewards for our great giving in the world. The time is ripe for a shift. We must be the momentum and continue to practice and teach making it evident by demonstration to the world, that Consciousness is the key to everything. Change your thought, change your life! In my 28 years as a new Thought Minister the vistas of my Consciousness continue to be transformed. I am in awe. I am in wonder. I am passionately committed to bringing the revelation of The Science of Mind teaching to the world. Dr Harry Morgan Moses is the author of the popular book, It’s So Easy When You Know How, now in its second edition. His newest book is Obvious Power – the secrets of habits and attitudes. He is featured in the movies Living Luminaries– The Serious Business of Happiness, What is New Thought, and A New Thought, A New You. In 1999, Dr Harry joined a select group of civic and spiritual leaders for dialogues with the Dalai Lama in the “Synthesis Project” at His Holiness’ residence in Dharmasala, India. Global challenges were discussed in earnest with an ongoing articulation of solutions. Dr Moses is the founder of the New Thought Center San Diego, Co-founder and past President of the Affiliated New Thought Network, Co-founder and Senior Minister of New Thought Ministries of Oregon. Dr Harry has been a keynote speaker for all major organizations of New Thought, and for over eleven years he served as a Senior Spiritual Director for Centers for Spiritual Living. Dr Harry is a popular Guest Speaker and Seminar Leader throughout the New Thought movement and is currently serving on The Minister Council for Centers for Spiritual Living. He continues to maintain an independent counseling ministry as a Spiritual Life Coach and also teaches at the Holmes Institute School of Spiritual Leadership, Redondo Beach, CA. Dr Harry and his wife thrive in Topanga, California and they enjoy their six grandchildren. The Minister’s Council embodies the vision and mission of Centers for Spiritual Living by always looking inward, forward and being fully present to manifest a world that works for EVERYONE through teaching, inspiring, guiding, leading by setting the example and embracing the teachings and principles of Science of Mind. Donna is retired from the US Army after serving over 32 years and is now the Spiritual Director of a focus ministry called “Graceful Passage for Veterans.” She teaches, guides, inspires and helps military veterans overcome the mental, emotional and spiritual challenges from serving in various combat zones and help them create and discover the life they want to live. Donna began her spiritual journey in 2005. She became a licensed Practitioner in 2009, graduated from ministerial school in 2012 and was ordained in 2016. She has served in numerous leadership positions within the military as well as a Senior Minister, Staff minister and now CEO and Founder of a focus ministry. She has immersed her life in the philosophy, principles, teachings and practices of Science of Mind (SOM). As Ernest Holmes has taught us to be a teaching and practicing organization, and this is exactly what I have done since taking my first class in SOM. To this day, I strive to practice, inspire and teach the principles of this philosophy and religion, not only in my words, but also in my actions, through leading by example. Donna holds a Bachelor’s Degree in Sociology and Criminal Justice, a Master’s Degree in Public Administration and a Master’s in Consciousness. I envision being a messenger of Divine Love who dissolves fear, limitation and separation. I am a Power awakening the Truth of joy, peace, inclusivity, diversity and kindness through the Council. I use my Divine Power and personal expertise to elevate all to their Divine Magnificence in our glorious organization. Rev G’s greatest Passion in life is awakening the Divine Magnificence in each one that he meets. His love for the Science of Mind teaching and joy for life are infectious. Rev. G is the co-founding minister of Center for Spiritual Living Greater Boston, a ministry that he shares with his loving husband Rev. Ed Tanzi. He and Rev. Ed began this Center as a teaching chapter in May of 2011, while taking classes at Holmes Institute. Rev. G was licensed as a Spiritual Practitioner with Centers for Spiritual Living in 2009. During his time in ministerial school, he also assisted in the process of creating the CSL School of Spiritual Leadership Florida Campus. He has been a minster since August of 2015 and is ordained. His work has allowed many people to find the deeper Truth in their lives and live the joyful lives that we are all meant to have. Prior to his work in ministry he spent over 27 years in the insurance industry and banking. In this work he honed his skill of communication through deep listening. Spirituality is a state of consciousness, not a wardrobe change. I first started coming to The Center for Spiritual Living Palm Desert about 15 years ago. It was unlike anything I’d seen before, a little strange passing out Carnations to new people.? The message however hit me like a ton of bricks everything I heard resonated with my understanding what I thought “GOD’was. Finding out that classes where held to teach how to “Use this Power.”in the words of Ernest Holmes, got me excited. So with the tutelage of Dr. Joe, Rev. Laura, Rev Bill and Dr. Maxine I started learning how to use It. Along the way of me becoming a practitioner I also became the main AV Tech for Dr. Joe on Sundays and any funeral or wedding, as well as the centers’landscaper and handyman. When I became a practitioner I started a Wednesday service called “Rev It Up”along with my Prac Teacher, Dale Olansky. I love to do prayers, I routinely do prayers for Sunday service and once had only a few minutes to prep and get up on stage to do a prayer when the person scheduled was too ill. I get so pumped up when someone comes up to me and says the prayer I did for them came to pass. I love knowing It works all the time and I’m ready to work with you to show the world It does for them. I happened upon the Palm Desert center when my wife became employed there 15 years ago. Brought up in Catholism but never resignated with me I knew something was missing in my life. I started attending services on Sundays and a whole new world opened . THIS is exactly how I believed and lived my life, though I never knew it existed. Since the first time I walked onto the island in th desert my whole existence has …. I became really involved in our Center and the teachings of SOM. I became A PRACTITONER and have been a co founder of a men’s group, co facilitate a monthly service, I have been a honorary care taker of our Center and a devoted Sunday Service AV and special event sound person. While our Sr minister was out of town I painted the entire interior and exterior of our Center. To keep my wife happy and pay our bills I own a custom sandblasting business locally in Palm Desert. I ride my Harley for relaxation . To lead and inspire others to their highest potential by my example. To advocate diversity, clear communication and inclusiveness within leadership of the CSL Practitioner community. To serve our Practitioners with an open heart, open mind and unbounding energy of love and dedication. JoyLynn is honored and grateful to currently serve as the Secretary of the CSL Practitioner Council. She has previously served as prayer liaison for CSL Leadership Council monthly meetings, as well as Region 6 Practitioner Representative in 2016. In 2016 and 2017 JoyLynn served as a committee member of CSL’s Practitioner Core’s first and second annual and in 2018 Chair of CSL’s third annual Practitioner Gathering. During the Integration process, JoyLynn served on the Core Council of UCSL as the Recording Secretary and in 2017 she served on the Leadership Council’s financial impact team. JoyLynn moved to Albuquerque from New Orleans in 2005 as a direct result of Hurricane Katrina. The love and support of the members of the Albuquerque Center for Spiritual Living are what sustained JoyLynn and inspired her continued study and ultimately teaching Science of Mind. JoyLynn was a law firm administrator and Paralegal for more than 30 years. She currently owns and operates JoyousCreations Event Planning and Catering company in Albuquerque, New Mexico. 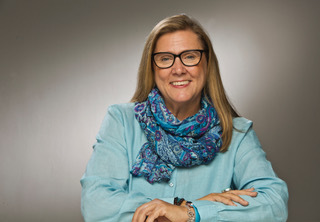 JoyLynn served as a founding member and Practitioner at the Rio Grande Center for Spiritual Living in Albuquerque and served on the Board of Trustees including 3 years as President. Leading by example and servant leadership is a way of being in JoyLynn’s life. Loving kindness, service, and inspiring others to their highest potential are JoyLynn’s life mission. JoyLynn is honored and blessed to currently serve as a Practitioner at The Albuquerque Center for Spiritual Living. The Practitioner Council is a compassionate, caring team, creating community and connection among all Practitioners. We support practitioner development at all levels of the organization and promote the value of practitioners in the world. Louise found Science of Mind in 2001 and was licensed as a practitioner in 2006. 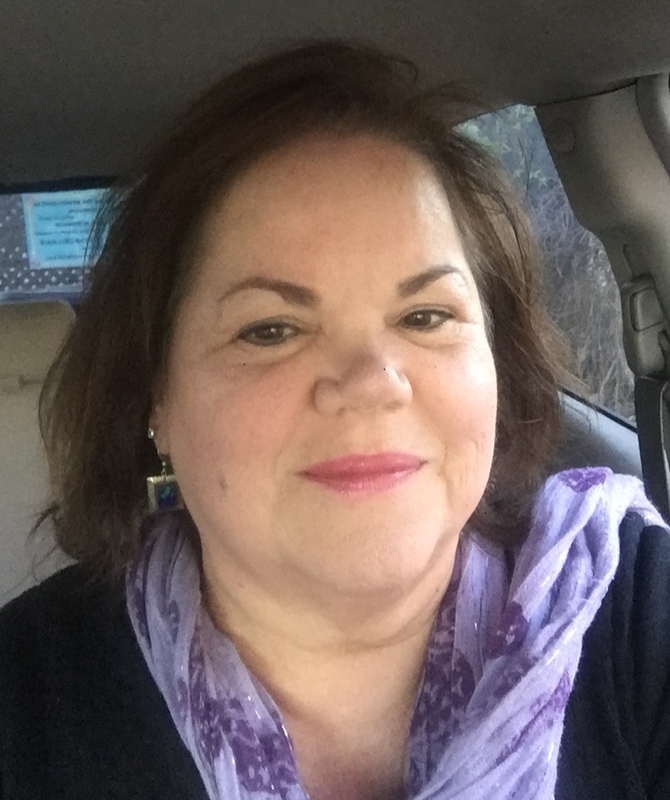 She is a full-time practitioner with a thriving practice and is Director of Practitioners at Ahava CSL in Lexington, Ky.
Louise teaches accredited courses, facilitates workshops, has Sunday speaking engagements and, with Rev. Soni, co-teaches Practitioner Training. Louise also brings Science of Mind into the world through her Community Service. She serves on the Boards of Lexington Fairness, a local non-profit advocating for equal rights for LGBTQ individuals, and The Tweens Nutrition and Fitness Coalition, which advocates for Food Justice. 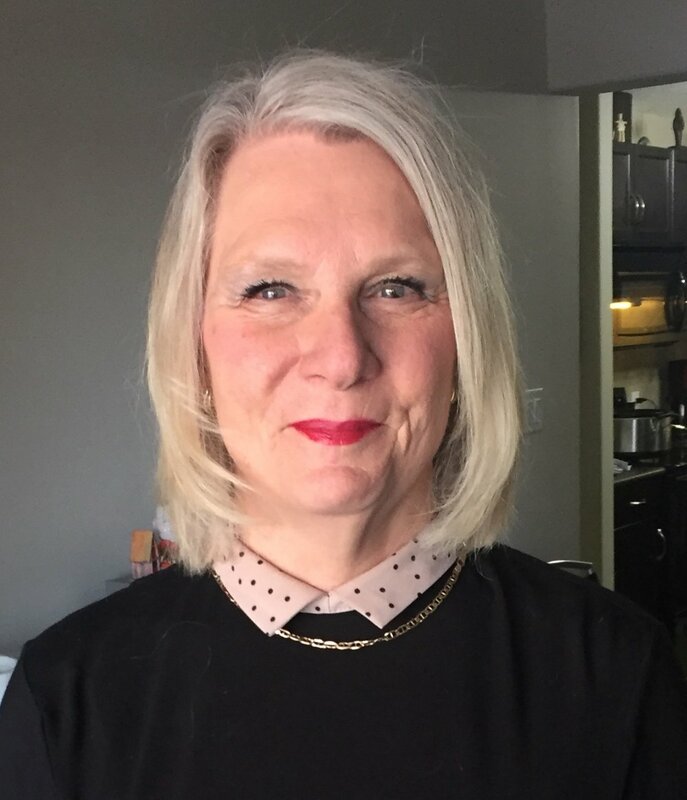 Louise is co-Chair of the Bluegrass Rainbow Faith Communities, a coalition of over fifty open and affirming faith communities across Kentucky and she is co-leader of SAGE of the Bluegrass which provides affirming resources for LGBT elders. She is also involved with the Kentucky PoorPeople’s campaign. In addition, Louise is a member of a professional Improvisational Theater team, which performs regularly in Lexington, Kentucky. Louise serves CSL as the Region Ten Practitioner Representative and she is is passionate about the role of practitioners within the movement. 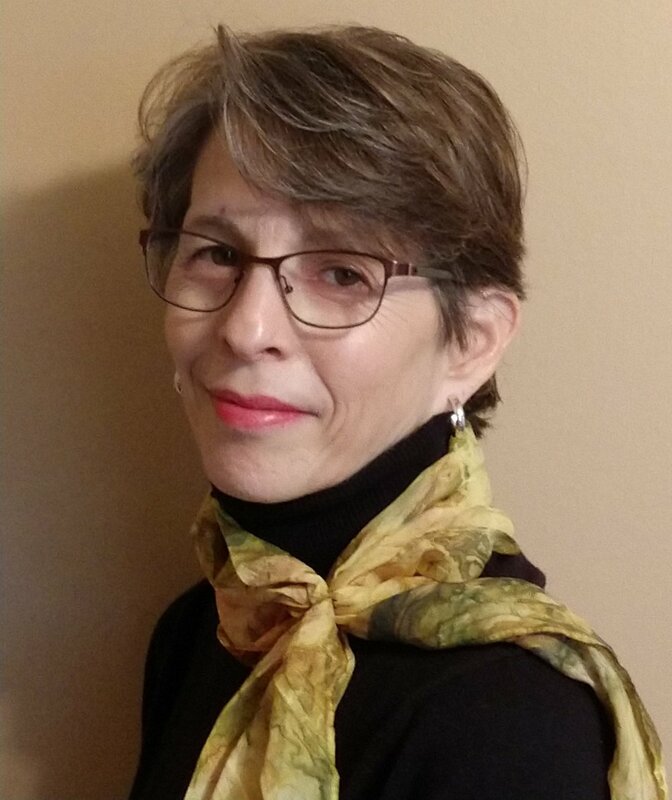 Additionally, Louise is thrilled to serve on the CSL Lifelong Learning Steering Team, which is working to expand and deepen CSL adult education. Louise has a compassionate heart and a zest for life. Louise has a doctorate in Anthropology and, has many years of experience working with vulnerable populations.